Cola Nut is also known as Kola Nut. Cola Nut is the seed kernel of a large African tree grown commercially around the world. It is extremely popular in the tropics as a containing stimulant. The properties of Kola are the same as modified only by the astringents present. Kola nut extract is used in the food industry as a flavoring ingredient. 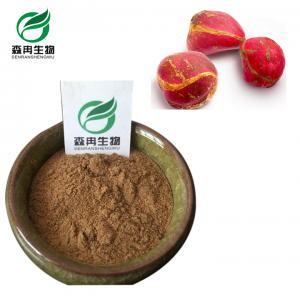 Kola nut extract is derived from the seeds of primarily two tropical Cola species (Cola nitida (Vent.) Schott et Endl. or Cola acuminata (Beauv.) Schott et Endl.) of the Family, Sterculiaceae. 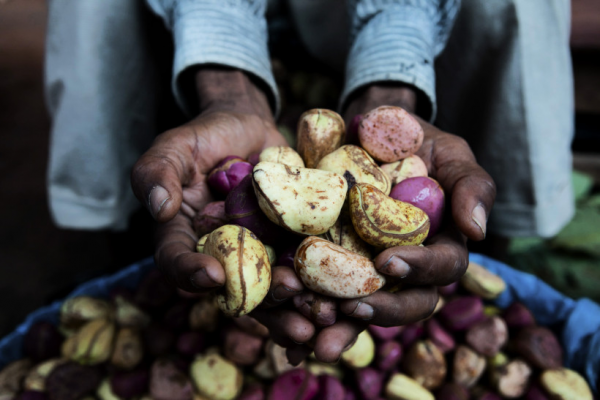 African Kola Nut is a stimulant, may prevent and fight fatigue. It may promote effectively better digestion. It may slightly Stimulate nerve and heart. As a condiment, it is often used in food additive and drink.